Nestled in the rolling hills of the Comino Valley my apartment is located in the heart of the historical center of Atina. Just steps away from the cathedral, this charming new spacious apartment offers a great home base for Rome, Abruzzo, Pompeii and Amalfi coast excursions; real Italian local food, wine and history. This conjoined apartment has 4 bedrooms ( with 4 queen size beds ) and 4 bathrooms for maximum of 8 people. Benvenuti! Beautiful Location and a Wonderful Stay! Casa Luigi was perfect for our place to stay while exploring the towns where my grandmother and grandfather grew up! 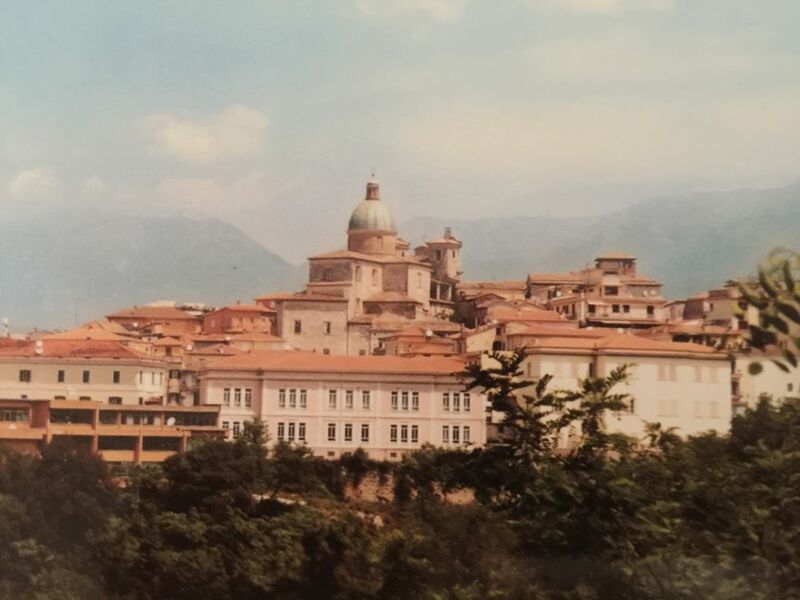 My sister and I enjoyed the town of Atina, the apartment of Luigi and the hospitality shown us by our host. Do NOT miss the restaurant in Atina, La Cannardizie. Within walking distance of Casa Luigi, it was breathtakingly beautiful and the food and wine were exceptional. We loved our stay here and would stay again in this beautiful area. The apartment was excellent. It's two apartment joined together so there is plenty of space and two tables for four. Domenico was very accommodating of our arrival time. Atina is an ancient city and has a prestigious history with St Peter passing through here on his way to Rome. The scenery is stunning, the food is wonderful and the people are great but I may be a bit biased! We came as a family with my 82 year old mother who comes from near Atina and she managed the steps up to the Piazza no problem, even after a hip replacement. The market on Monday is great and you don't need a watch as the church bells ring every quarter of an hour. We were fortunate to find this apartment and have such a lovely visit.